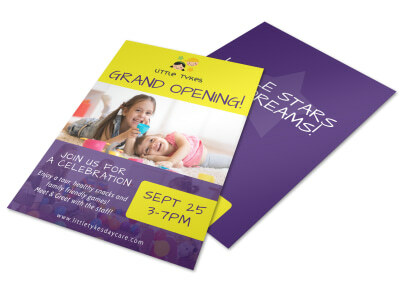 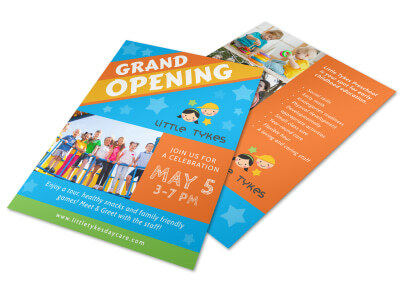 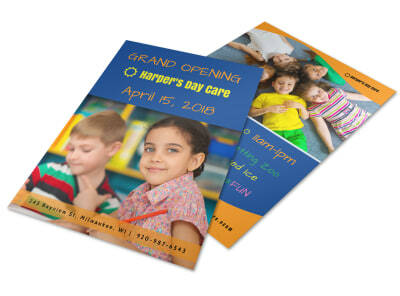 Announce your child care facility’s grand opening, alert parents to specials, and create buzz for center events with customized flyers. 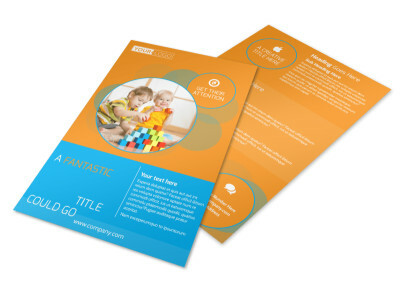 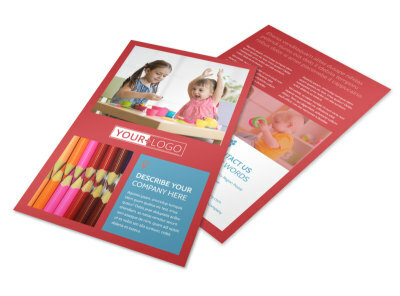 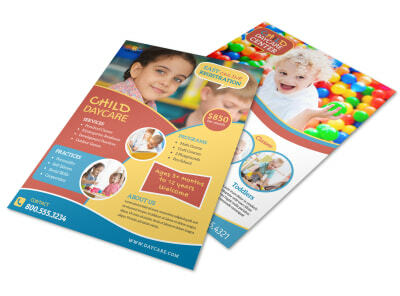 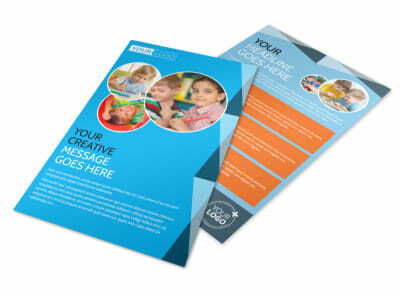 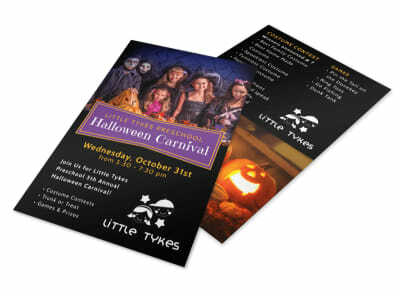 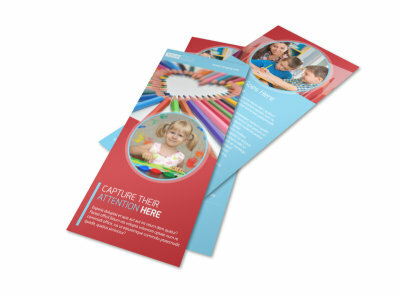 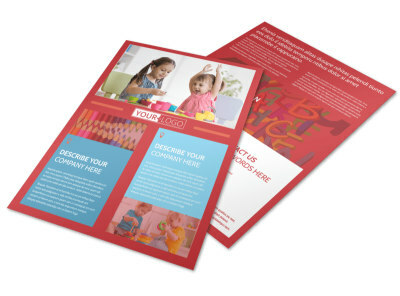 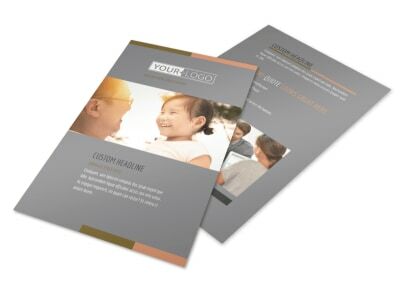 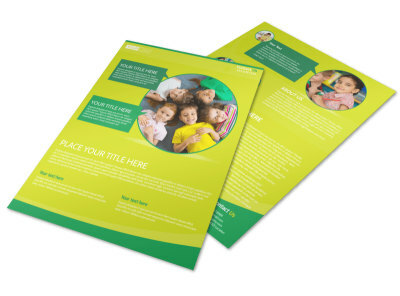 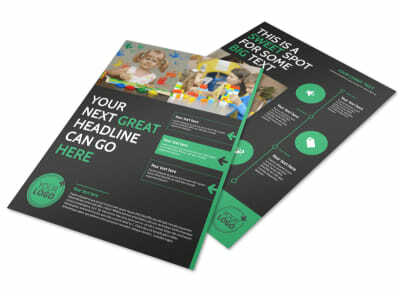 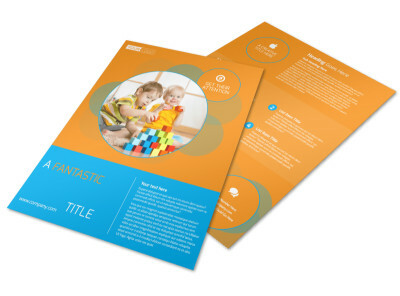 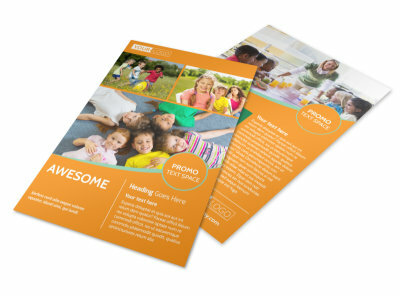 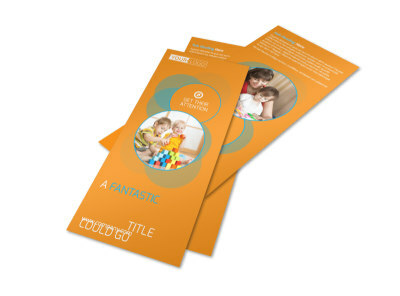 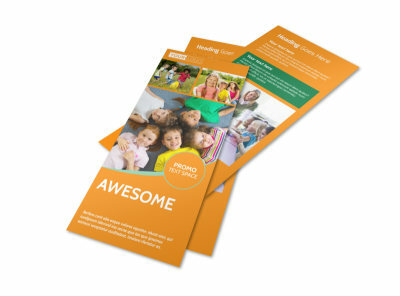 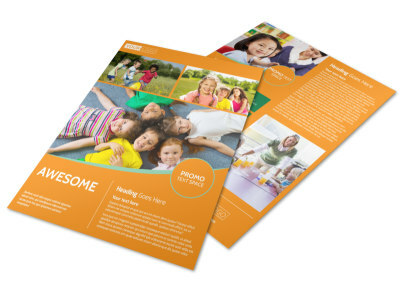 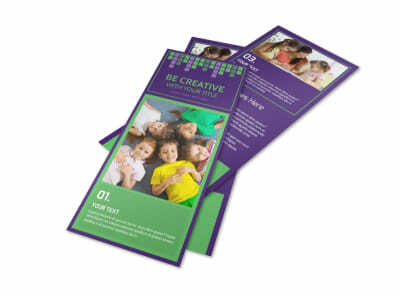 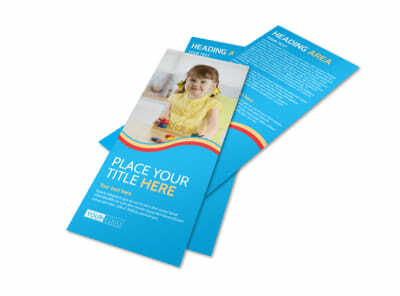 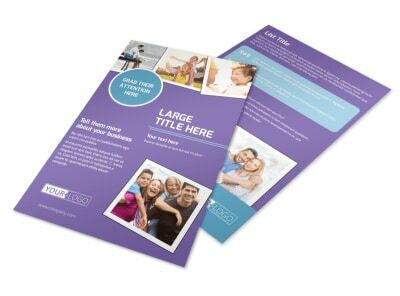 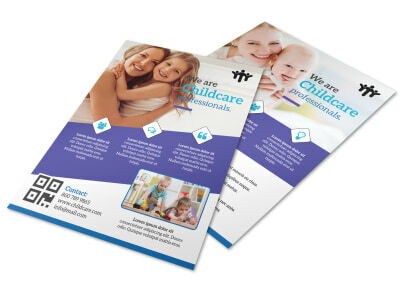 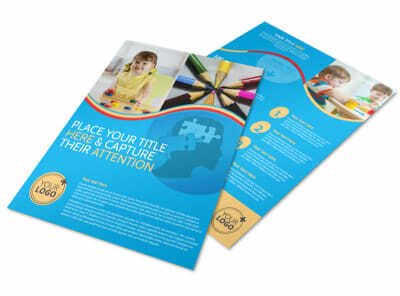 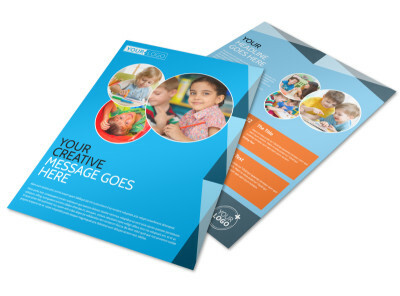 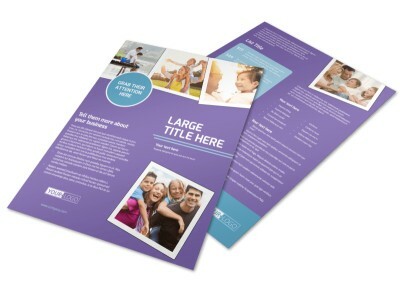 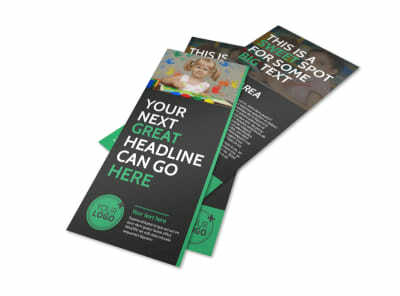 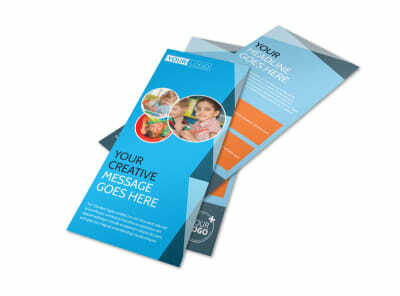 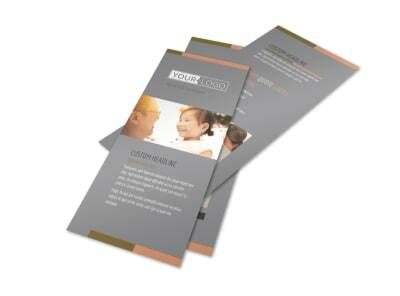 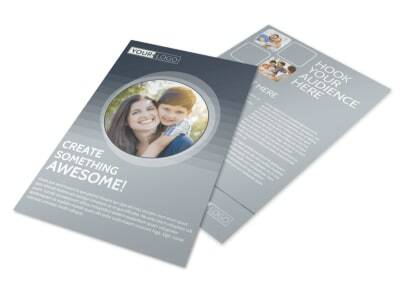 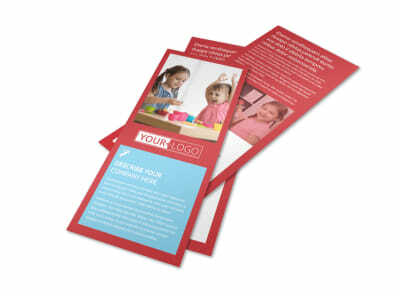 Our child care flyer templates put the ability to design custom flyers in your hands. 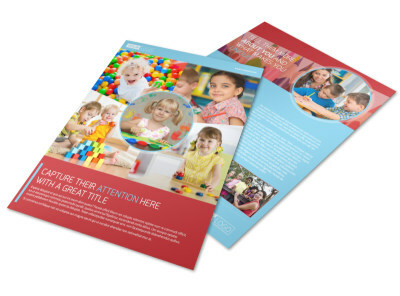 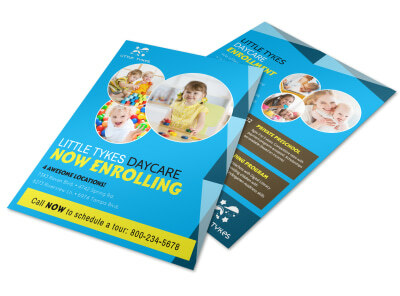 With a few keyboard strokes and your own creativity, you can craft beautiful daycare flyers that draw the attention your center needs to become a success. 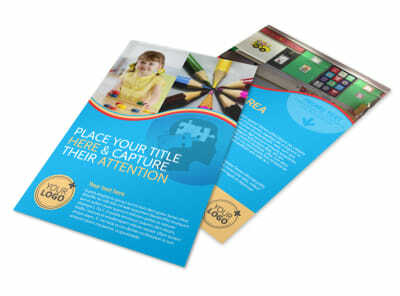 Use our online editor to upload photos, add your own text, customize colors and fonts, and more. 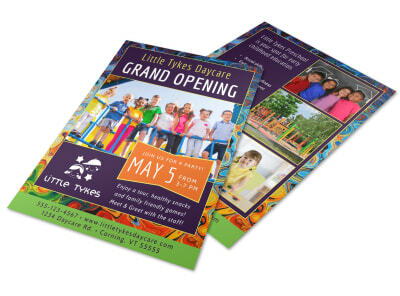 When your design’s on point, print it from your own location or let us handle the printing for you. 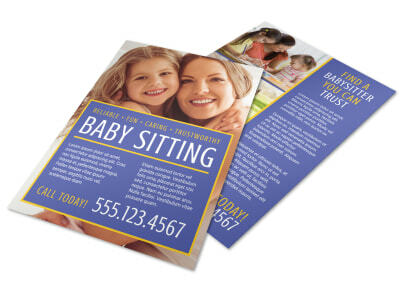 It doesn’t matter if you’re a middle or high school student looking to earn extra money after school and on weekends or a retiree hoping to pick up some side cash while staying close to those who make you feel young – babysitting jobs don’t always fall into your lap. 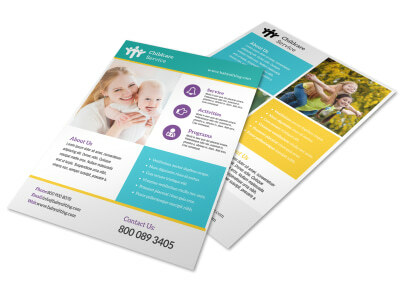 It can take time to build up your client base, so don’t waste a second (those kids will eventually be too old to need a babysitter). 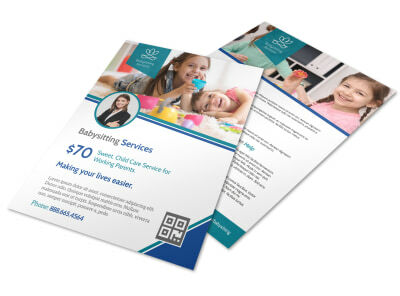 With MyCreativeShop, you can customize the perfect babysitting flyer to share with parents, friends, and neighbors. 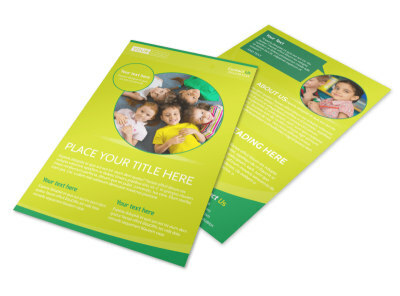 Our library of professionally-designed templates has just the one to meet your needs. 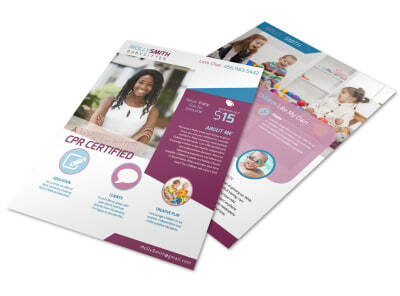 Make sure to share your story (briefly), your rates & availability, and your passion for caring for children, along with a note about your experience and any certifications you hold (CPR, First Aid, AED). 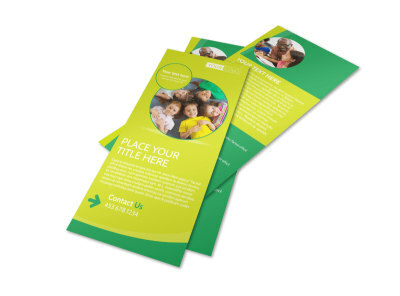 Distribute your completed flyer throughout your neighborhood – including the grocery store, gym, library, and elementary school. 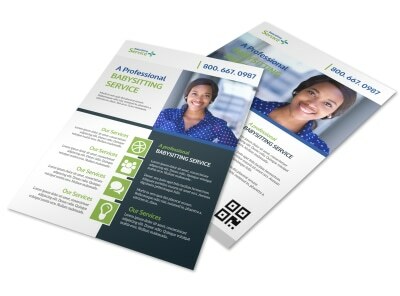 Your phone will be ringing before you know it! 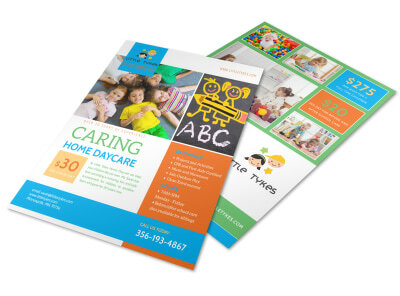 Working parents have a lot on their plate – between their day job, physically caring for their kiddos every morning and evening, fighting to carve out quality time in their hectic daily routine to spend with their littles and/or partner, and the mental and emotional load of parenting, it’s no wonder they care so much about who fills in for them during the workday. 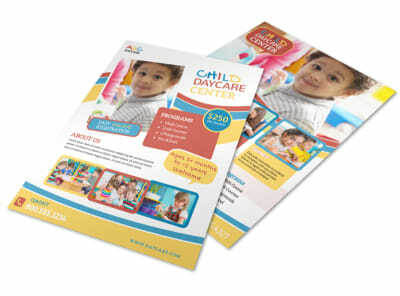 Come to their rescue with a beautifully-customized daycare flyer that puts them at ease and builds their trust. 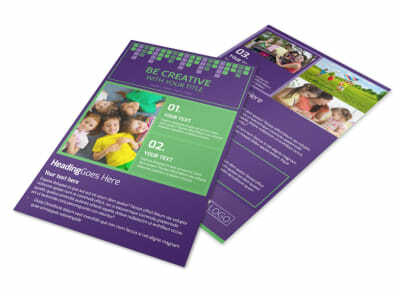 MyCreativeShop offers a shepherded flock of professionally-designed templates to meet your needs. 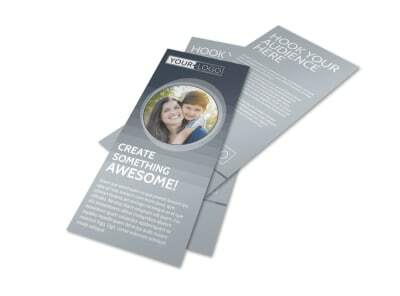 Include an invitation to drop by for a visit of your home or facility, along with a note that parent references are available upon request. Our online editor makes it easy to upload your own photos, customize fonts, text, colors, and layout, and create a fabulous finished product. 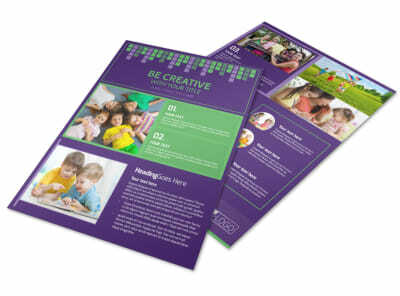 Print it yourself or let us do that for you so that you can get back to fingerpainting and molding young minds!